Badiya is our company's original brand, specializing in providing customers high-quality and competitive price leather products. Mainly on men & women leather wallets, coin purse, credit card holder, handbags, shoulder bag, cross body bag, tote & satchels, etc. The bag is with adjustable strap and zipper pendant,make your more fashion. The bag can be waist packs and shoulder bag,2 ways styles. 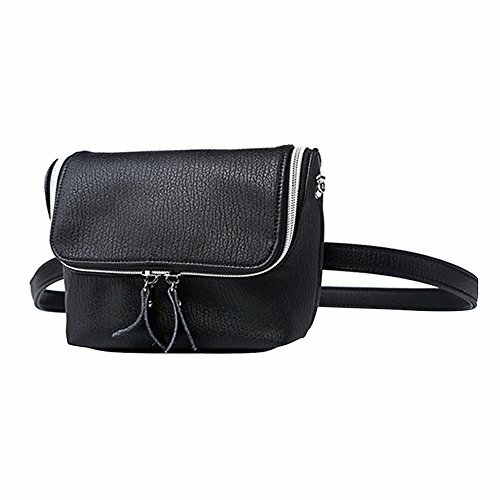 Useage:Convenient and comfortable to handle in 2 ways: Shoulder and waist bag. Perfect to use for dating,working,school and traveling. Bag dimensions: W-5.9 "(15cm), H-5.5"(14cm), D-2.36"(6cm), Could fit your iPhone 6s Plus; Belt size: adjustable to fit up to size 45"; Removable belt. If you have any questions about this product by Badiya, contact us by completing and submitting the form below. If you are looking for a specif part number, please include it with your message.